A lot of people try to save money by not getting their vehicle serviced regularly with a car mechanics service. Unfortunately this can be very costly in the long run. 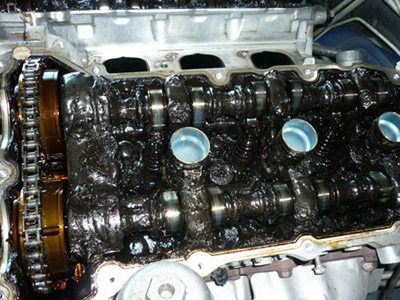 One of the main functions of oil is to remove contaminates from the engine. 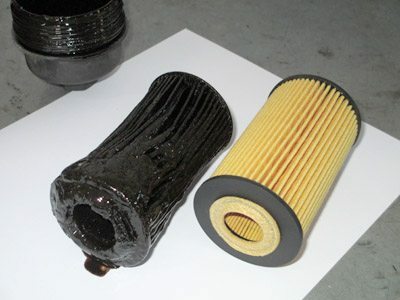 When the oil is not changed regularly these contaminates build up and thicken the oil, turning it to sludge – which then blocks the oil filter and critical oil passages, starving the engine of lubrication. Take a look at these examples below that unfortunately ended up with bigger problems through lack of a regular car mechanics service. Steve Sorensen Mechanical can help you maintain a regular service schedule, in and out of new car warranty, to keep your car efficient and reliable. We offer logbook servicing, minor and major servicing, and auto transmission servicing at our Browns Plains auto shop. To book in for a car mechanics service – call us on 07 3809 2711 or send us an email.